Dr. Arlene Greenstein believes that "the world is a book, and those who don't travel read only one page." For that reason, she has provided SSU students who want to study abroad with the opportunity to receive a scholarship to do so. Arlene retired from Salem State in 2013 after serving as the Dean of the School of Continuing and Professional since 1999. At that time, she started the Arlene Greenstein Study Abroad Scholarship and has been donating to it ever since, asking family members and friends to give to the scholarship instead of birthday or anniversary gifts. While at SSU, Arlene was a tireless advocate for students, but her own belief in the power of learning through travel is what inspired her the most. The Greenstein Study Abroad Scholarship will afford qualified SSU students the opportunity to visit another country through short-term or extended experiences! Help us honor Arlene's commitment and passion for discovery and learning through travel by fully funding her scholarship! 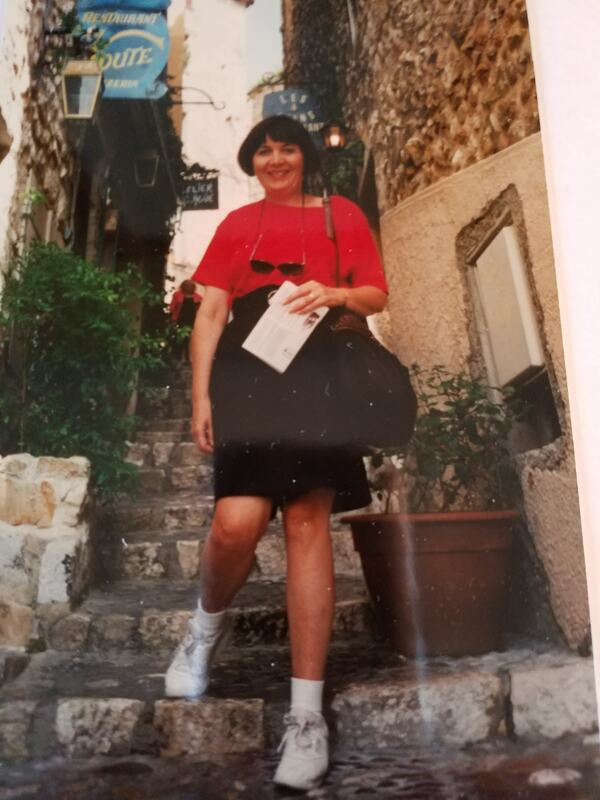 This photo is Arlene in St. Paul de Vence in France when she was discovering her own passion for travel! My name is Anthony and I studied abroad in Mannheim Germany this past summer. Prior to this trip I have never traveled far or even been on a plane before. But, from the moment I arrived in Germany I felt welcomed and never had any issues. My study abroad experience benefitted me educationally and helped me grow as a person. 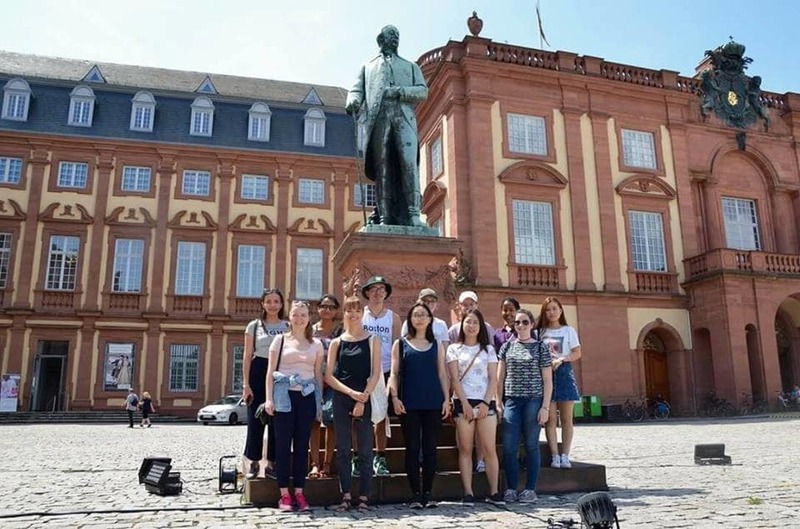 I learned a lot in my classes but just as much outside of my classes through tours, a visit to the Heidelberg Castle, and other excursions planned out by the wonderful summer school staff of the University of Mannheim. All this was great but my favorite part about this trip was I got to share this experience with other students at the summer school I met from all around the world. This diversity was great, as we all came from different backgrounds and each had our own story to tell. I now have lifelong friends from Germany and from all around the world who I will never forget. This experience was the best decision of my life and I can’t wait until my next study abroad adventures in Italy and Greece! Help a student start packing for a study-travel trip abroad! Help a student to fund the books and materials needed for an exciting study-travel experience in a new country and culture! Help a student fund a passport to ensure their travels can begin! Help a student leave their main site and experience another part of their study abroad destination! Help a student fund room and board during their time abroad! Help a student get that necessary plane ticket and get ready to board for their study travels abroad! Help a student pay for the tuition at a world class global destination! Value of experience: priceless!